Each One, Teach One is an African-American proverb. The phrase originated in the United States during slavery when Africans were denied education, including learning to read. Many, if not most, enslaved people were kept in a state of ignorance about anything beyond their immediate circumstances which were under control of owners, the law makers and authorities. When a person learned or was taught to read, it became his duty to teach someone else, spawning the phrase "Each One, Teach One". We, at the LB, want the entire population to adopt this method. As we advance, learn, and gain access, we must teach our young rising leaders to do the same. 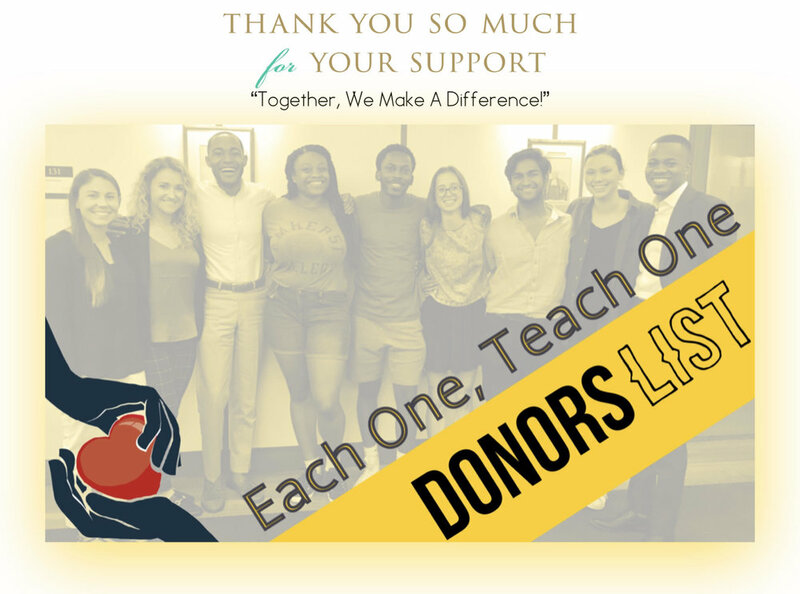 The LB’s Each One, Teach One (EOTO) Donors List recognizes those who support by giving $100 or more!